Sign up on the website www.faberlic.com. 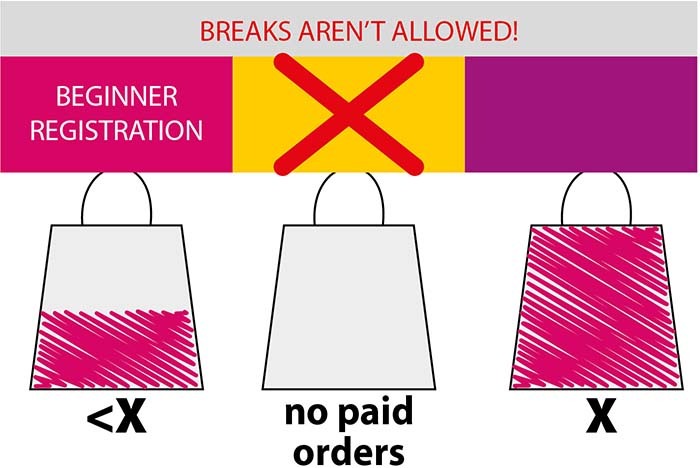 Pay for orders at the sum specified in the requirements of the 1st Step, and pick up a prize for just 1 rub when placing your first order within the next catalogue. The requirements of the 1st Step of the Program change every period. You can learn the exact sum and the prize from your Sponsor or our website www.faberlic.com under the section Promotions, programs/ New Representatives. With every new catalogue period place and pay for your orders above 2499 or 4999 roubles (period totals at Catalogue prices) and receive our sets of exclusive products at a special price. Option 1. On orders above 2499 roubles, the set price is only 299 roubles! Option 2. On orders above 4999 roubles, the set price is only 99 roubles! The set price in the catalogue increases with each step, but for you the price remains the same! With that you can switch between the payment options. Service charges and shipping fees are not included in the orders total sum required to receive the next set within the Starting program. For example: in the catalogue №15 you placed and payed for orders at the sum of 2499 roubles at catalogue prices. The set price in the period №16 is 299 roubles. Then in the catalogue № 16 you payed for orders at the sum of 4999 roubles. In the next period, you can now purchase a set for just 99 roubles. Order totals (above 2499 and 4999 roubles) may vary with every new period while you continue to participate in the Starting program and purchase sets of products at the price corresponding to the orders total sum in the previous period. Step 2. 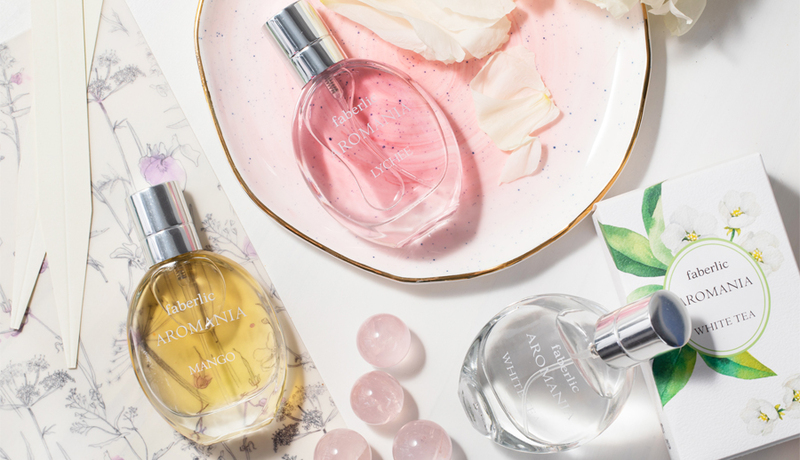 Pay for orders above 2499 roubles or 4999 roubles at catalogue prices in the second billing period and receive 3 fragrances of your choice valued at 1800 roubles for just 299 or even 99 roubles! Aromania Lychee Eau de Toilette For Her, 3044. Step 3. 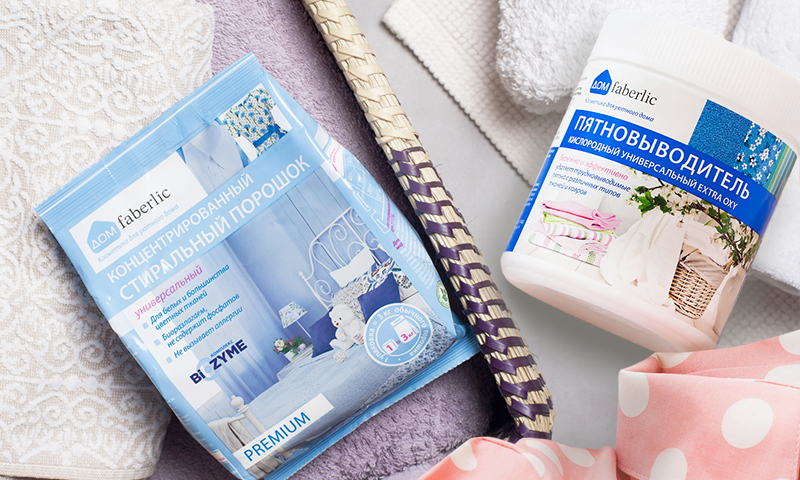 Pay for orders above 2499 roubles at catalogue prices in the third billing period and receive a set of household products valued at 1050 roubles for just 299 or even 99 roubles! or Concentrated laundry detergent for colors, 11526. Step 4. 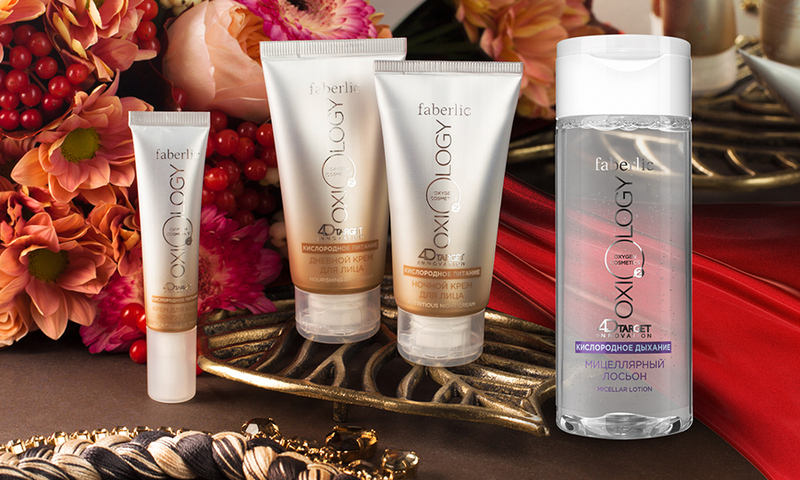 Pay for orders above 2499 roubles or 4999 roubles at catalogue prices in the forth billing period and receive an Oxiology skin care set of your choice valued at 1140 roubles for just 299 or 99 roubles! Oxygen Nourishment Eye cream, 0266. Oxygen Balance Night cream, 0273. Oxygen Radiance Night cream, 0238. Oxygen Hydration Eye Gel, 0262. Step 5. 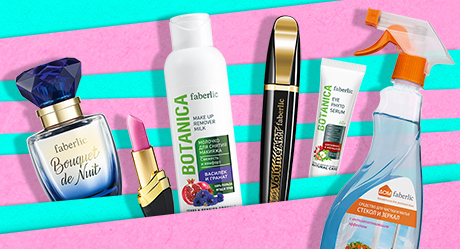 Pay for orders above 2499 roubles at catalogue prices in the fifth billing period and receive a SkyLine makeup set valued at 1650 roubles for just 299 or even 99 roubles! or "Protection and color" Toning DD-cream, 1 color of your choice (6235-6237). Step 6. 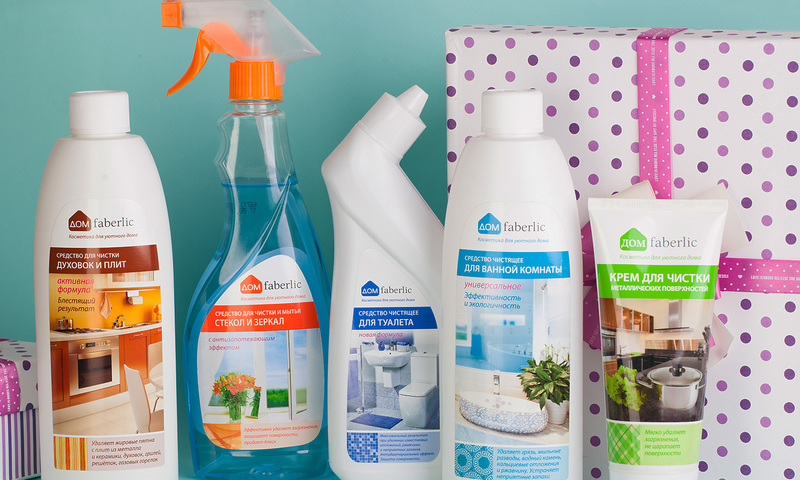 Pay for orders above 2499 roubles at catalogue prices in the sixth billing period and receive a set of household products valued at 1250 roubles for just 299 or even 99 roubles! Step 7. 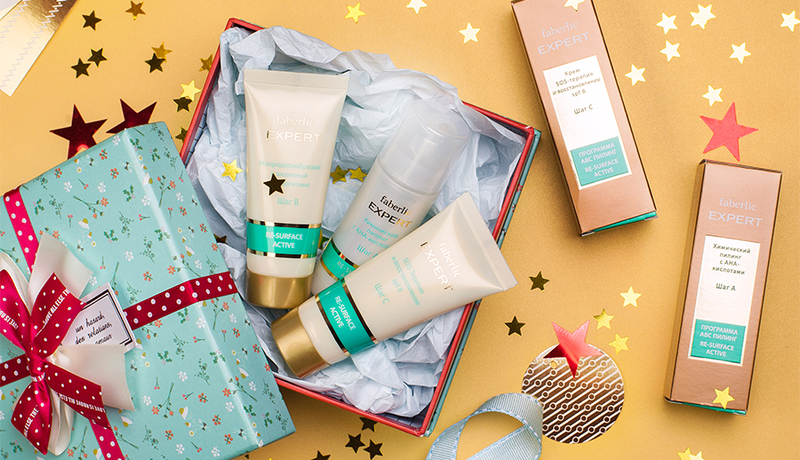 Pay for orders above 2499 roubles or 4999 roubles at catalogue prices in the seventh billing period and receive an Expert skin care set valued at 1900 roubles for just 299 or 99 roubles! Active Renewal SOS Therapy and Restoration Cream SPF 8, 1217. Step 8. 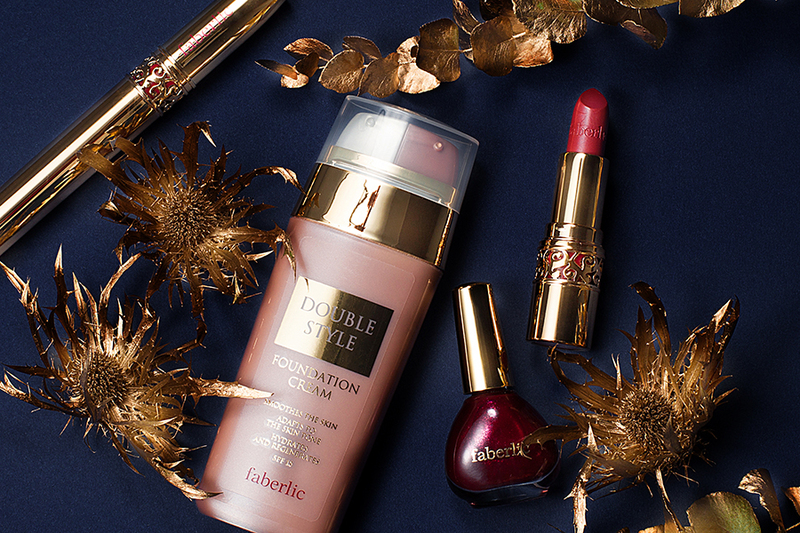 Pay for orders above 2499 roubles at catalogue prices in the eighth billing period and receive a Secret Story makeup set valued at 2280 roubles for just 299 or even 99 roubles! 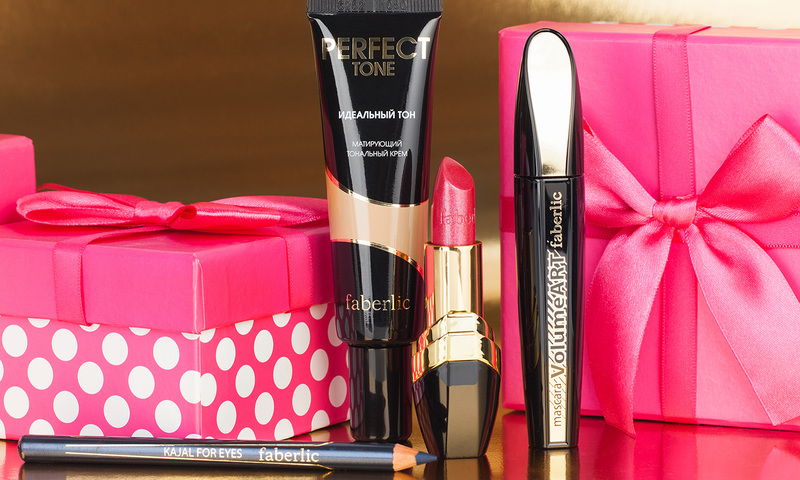 "Your Oscar" Super-volume mascara, 5598. "Best scenario" Nail Polish, 7316-7329, 7331, 7332, 7405-7407 (1 color of your choice). Step 9. Pay for orders above 2499 roubles at catalogue prices in the ninth billing period and receive a set of perfumery products valued at 3060 roubles for just 299 or even 99 roubles! Eau de Parfum for women Coquette, 3174. 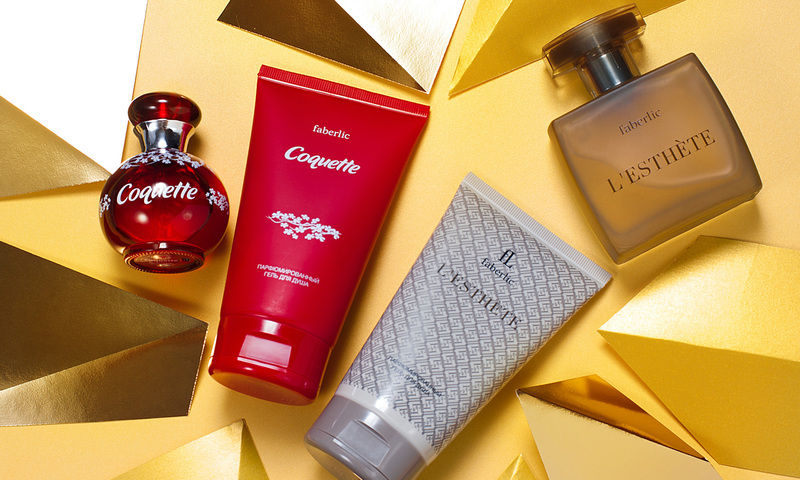 Perfumed shower gel for women Coquette, 8316. L'Esthete Eau de toilette for men, 3208. A new Representative who hasn’t made any orders within 3 billing periods (including the registration period) may perform the 1st Step of the Starting program or make a trial step. To make a trial step place a small order at the sum less than is required to pass the 1st Step of the Starting program. After the trial step, fulfill the requirements of the 1st Step in the next period and you will be enrolled in the Starting program! If a new Representative hasn’t placed any personal order within 3 billing periods from the date of registration, the Company reserves the right to remove his registration number from the database without warning. Important! The 1st Step of the Program must be fulfilled within the next period following the trial step. In case of a missing period, the participant will be eliminated from the Starting program. If a Representative issued a refund, the refund amount will be added to the total sum required to pass the next step of the Program. For example, in the 16th period a Representative issued a refund for the sum of 500 roubles. In the 17th period then, in order to pass to the next step of the Program, his order should be increased for the refund sum. The registration date is the date the Representative’s data was actually recorded into the Company’s database and he was assigned a personal registration number. Steps 2-9 must be fulfilled without a break within 8 billing periods, beginning from the 1st Step. You can place one or several orders to meet the requirements to pass the 1st Step. Sets of products for Steps 2-9 are available at the end of the previous billing period and can be found on the 2nd checkout step in the "Representative Promotions" tab. You can purchase a set for each step within 3 billing periods. To find out who in your organization is involved in the Starting program, check the "Marketing Reports"/ "Starting Program Reports." When you log in, enter your registration number and the currency in which you want the report to be displayed. In the table you will see the sum of the orders paid during the period and the number of Step of your Representatives.